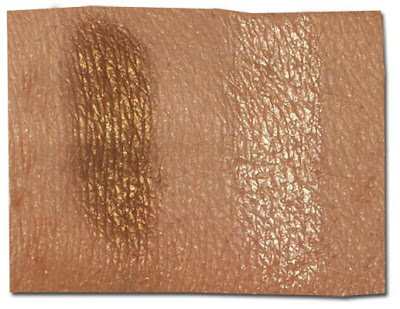 Every makeup bag needs a neutral pinkish-golden shimmery eyeshadow. 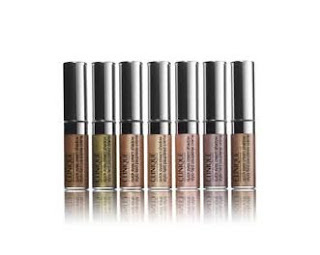 It's good for layering eyeshadows to create depth, and is flattering for almost every skin colour. 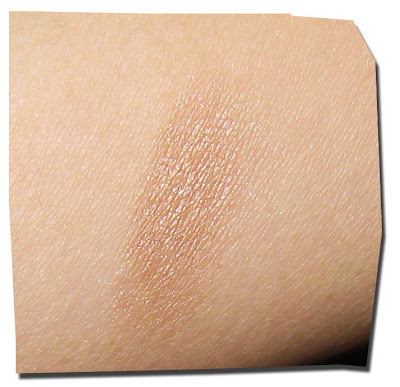 There have been rave reviews of Stila's 'Kitten' eyeshadow, and I'd like to put in my two cents about an eyeshadow that is almost a dead ringer for the shade, and I think it's a very beautiful, sweet colour! And below is a swatch of Clinique's 'Lucky Penny' - my current go-to shade! It's a lot more pinkish than 'Kitten', which means that it doesn't wash out the warmer complexions as much. 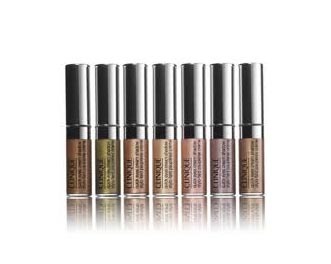 It's really great for a daytime eyeshadow, or it can be used to add a shimmery touch to the inner eye. It's amazing with a brown shadow (to shade the crease), or on its own, with strong, dark eyelashes. 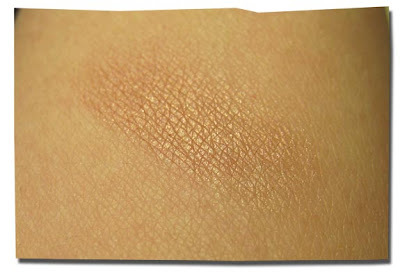 Clinique makes a good quality eyeshadow, and it has great lasting power. I've used this for long nights out, and came home to see the eyeshadow still in place, and still shimmery, too! As you can see in the picture, it's more pinkish than Stila's 'Kitten', and with shimmer. The shimmer is beautiful and fine - no large flecks of gaudy glitter. 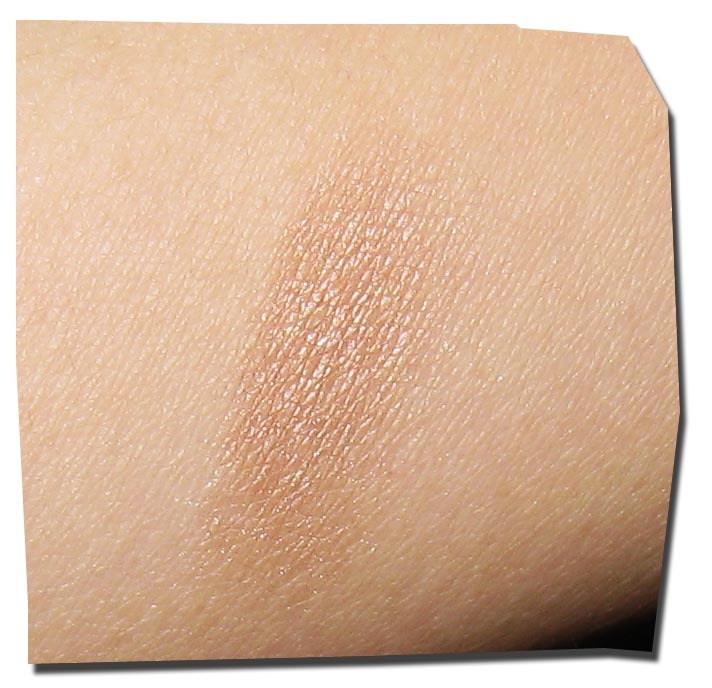 The only problem with this colour is that its pigment isn't as strong as MAC or Stila - as you can see in the pictures above. If you're looking for a good, and less expensive, substitute to Stila's 'Kitten', MAC's 'All That Glitters' or MAC's 'Grand Entrance' - then you should try Clinique's 'Lucky Penny'. If you're looking for an even more affordable version of these shadows, you can try Wet n' Wild's eyeshadow trio in 'Walking on Eggshells' - their 'eyelid' colour is very similar!